Iran declared victory over the protest movement for the third time on Sunday, but the demonstrators keep coming back, and there are signs the regime is beginning to crack. The Wall Street Journal notes that despite these frequent victory proclamations from the regime and its iron-fisted crackdown on social media, videos of demonstrators keep popping up online, their authenticity regrettably difficult to confirm. Even as the Islamic Revolutionary Guard Corps issued its latest proclamation that what it portrays as a seditious movement stage-managed by hostile foreign governments has been crushed, President Hassan Rouhani essentially admitted that the protesters have valid criticisms of the IRGC’s masters in the “hardline” theocracy. “We cannot pick a lifestyle and tell two generations after us to live like that. It is impossible. … The views of the young generation about life and the world is different than ours,” said Rouhani, alluding to the younger demographic of the current uprising compared to the 2009 Green Revolution. The National Council of Resistance of Iran claimed on Sunday to have seen a classified Iranian government report that said 35 percent of those arrested in the protests are students and quotes a public statement from an IRGC official that the average age of the detainees is under 25. Rouhani also said “no one is innocent and people are allowed to criticize everyone,” which of course is not remotely true in autocratic Iran, where nervous citizens use encrypted messaging applications to evade scrutiny by the regime. The government shut down those social media services last week in a bid to weaken the uprising, but Rouhani said he disagreed with clerics who want the bans to become permanent. Not only has Iran’s theocracy lost its legitimacy, but it has lost its ability to control the public through the instruments of violence. 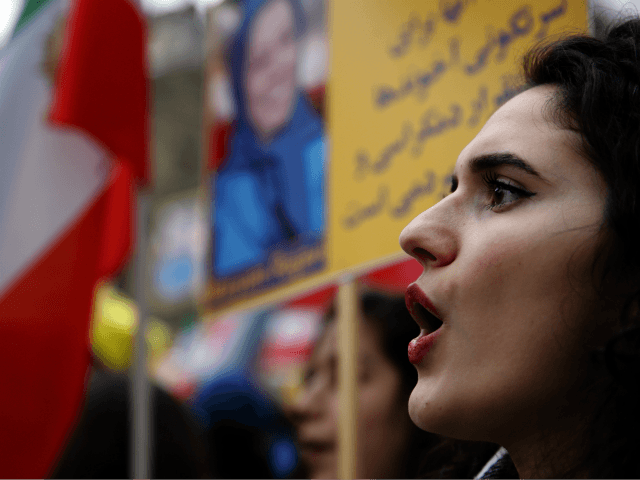 Unlike in past protests, countless Iranians have demonstrated that they will no longer participate in the political game of “reformist vs. conservative” (better known as “moderates vs. conservatives” in the West). For them, no one from the establishment, including the so-called reformists, can make their lives better. For them, the entire system has to fall for a new Iran to be reborn. The current uprising may not lead to the immediate collapse of the regime, but we are witnessing the death throes of the Islamic Republic. Even if the uprising ends today, it is but one step in long struggle to achieve a more representative, democratic and popular government. Khamenei and Rouhani may blame foreign enemies for the uprising, but their enemies are the hungry and oppressed people of Iran. They are awake. And they are legion. “The propaganda machine has already started to churn out diatribes against Mr. Rouhani and his allies, making many Iranians fear a repeat of the 2005 election,” writes Fathi, referring to the replacement of previous reformist President Mohammad Khatami by hardline madman Mahmoud Ahmadinejad, two years after another uprising where students shouted “Death to the dictator!” at Ayatollah Khamenei. Under this interpretation of Iranian politics, the hardliners always benefit from chaos and unrest by promising to restore order, even if the protests were specifically directed against them. State-run media admitted on Monday that a 22-year-old student protester named Sina Qanbari died in custody at the infamous Evin Prison over the weekend. The death was initially kept quiet, but other prisoners released from Evin spread the word through social media on Sunday. There is evidently widespread skepticism of official claims that the student killed himself. Some of the social media restrictions imposed by the government were reportedly lifted by Monday, but the enormously popular Telegram encrypted messaging system used by nearly half the population is still blocked.